Here are three macOS 10 tips, tricks and shortcuts to help you keep be productive and keep your Mac running well. 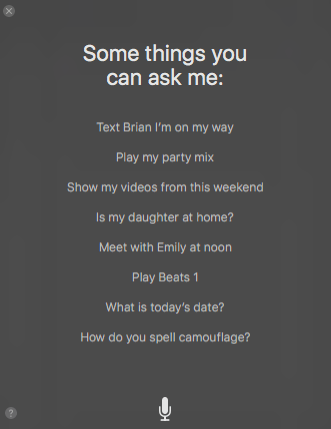 Before you go searching for your system preferences, try using Siri instead for simple changes. Talking to your Mac may feel a bit strange at first, but you’d be surprised how much Siri’s grown in the past two years alone! Press ⌘ + SPACE and Siri will pop right up. For example, see how much storage you have left. “How much space is left?” results in a fast Siri response. Are your programs running more slowly or even quitting and crashing? You may be facing a memory problem. After you have checked how much space you have with Siri’s help (tip 1 above), you can quickly free up space using MacOS Sierra’s new built-in storage help. Move your mouse over the Apple logo on the upper left of your toolbar and then scroll down to About This Mac. Clicking on About this Mac, open up Storage and go to the Manage setting. Here you will get tips about how to store files and photos, whether you want to keep files you have recently opened. You will also have an option for Optimized Storage that removes iTunes movies and TV shows, retaining only email attachments. You can also select the option to empty your trash periodically. This feature is huge when you are working and using more than one device. Items you have copied on to your Universal Clipboard now will appear on another device that has macOS Sierra installed and the same Apple ID on both devices in use. 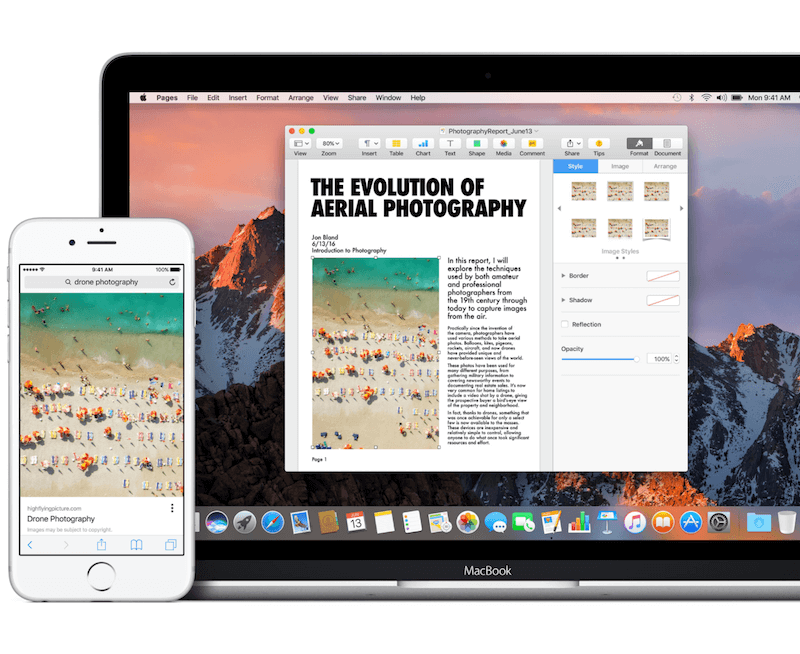 For example, if you need to transfer word documents, images, photos and video between devices, you can copy them over without using AirDrop, a flash drive, email or a cloud sharing platform. It is easy and swift to use. This is one of the most useful features in Sierra and employs peer-to-peer sharing via Bluetooth. Press Ctrl + C, hold down and select Paste on your iPhone or other device. This is one of the most popular features on the iPhone and super handy whether you are crafting an email or sending a quick text. This feature prompts you with new words to fill in. It also adapts to you, based on prior words you have used before. You can enjoy this same functionality now on your desktop, laptop or tablet with the QuickType function available through macOS Sierra. This functionality works within Mac programs such as TextEdit and Notes as well as certain third-party apps. 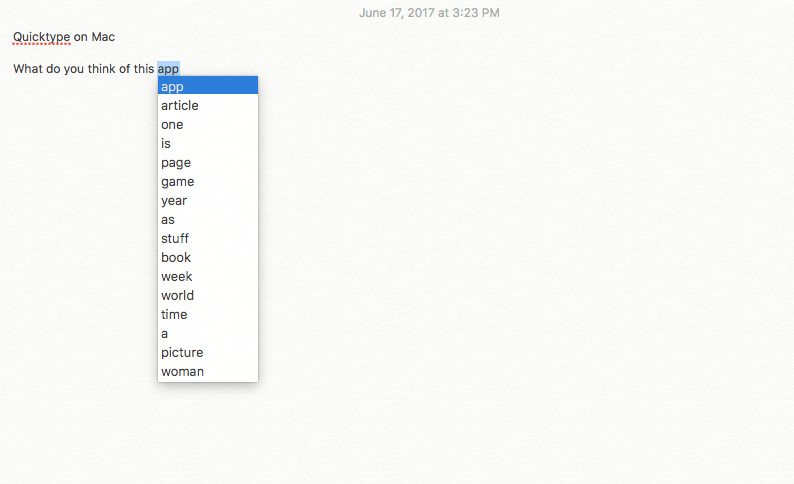 Press Esc Alt when you type in a word and immediately a list of suggestions will show for possible words you can use. You can select any word by clicking on it.